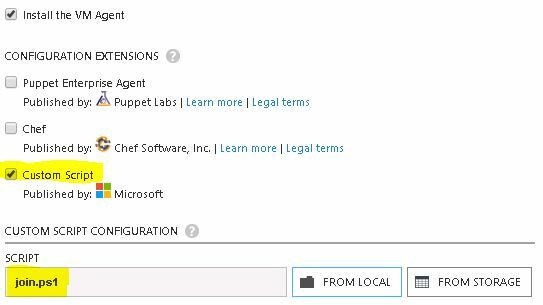 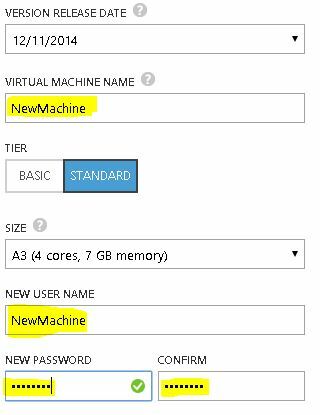 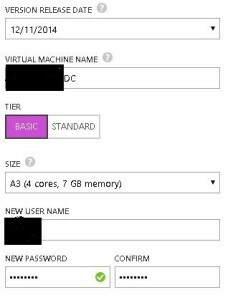 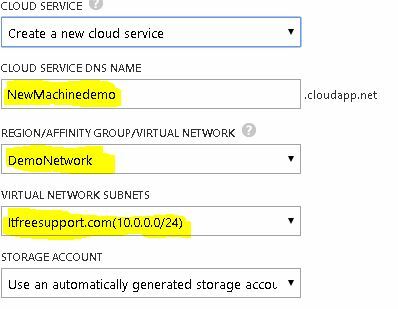 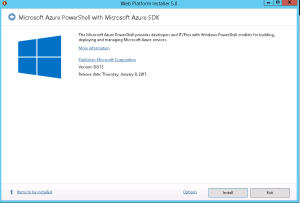 Create a Virtual Network in Azure. 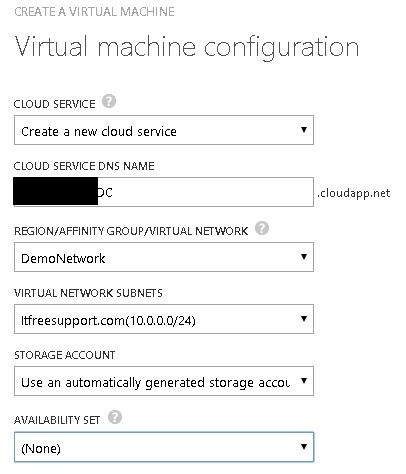 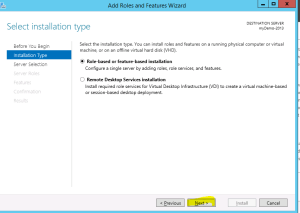 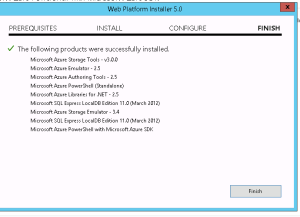 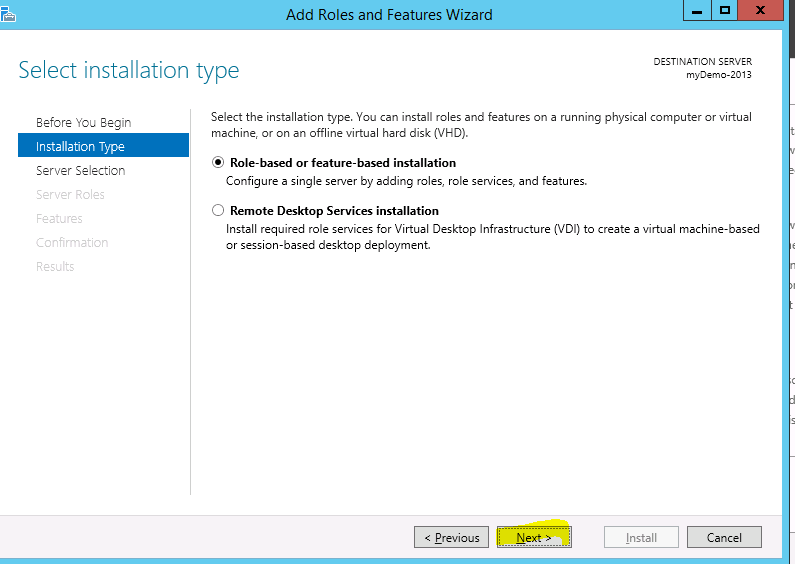 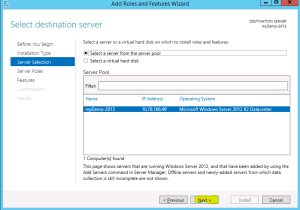 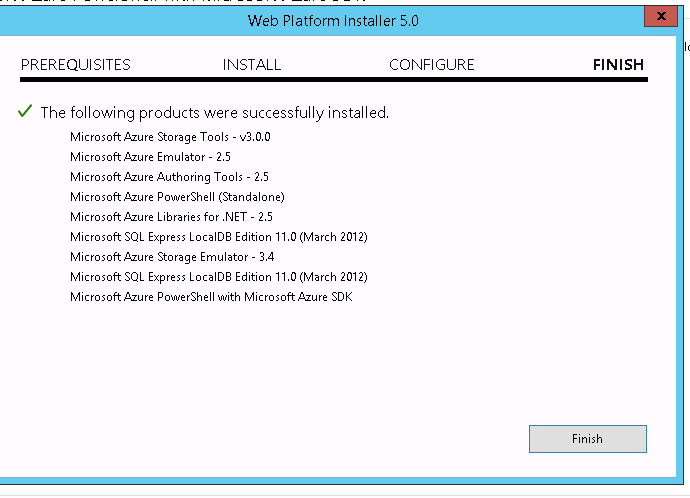 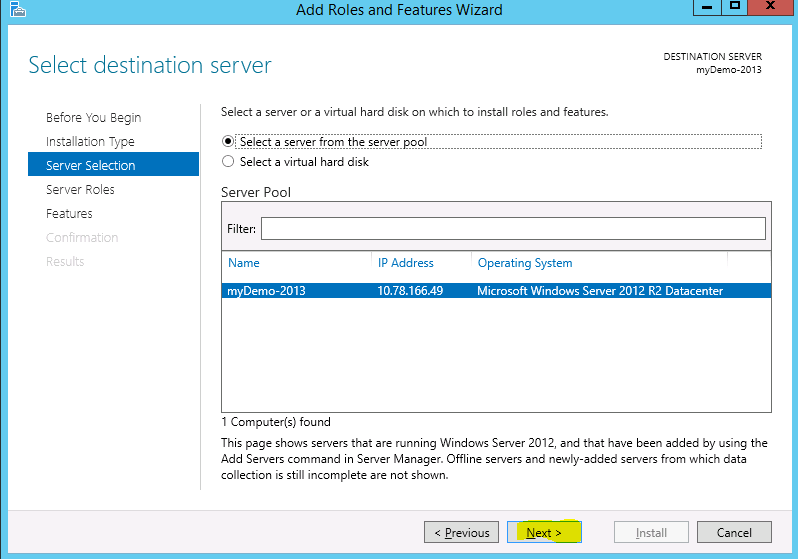 Now let’s create a Virtual Network in Azure like we do in our Hyper-V servers. 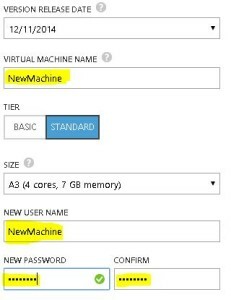 We need this Virtual network so that all the new and old Machine are in same IP range and can communicate with each other. You don’t need to be a Networking expert to do so. 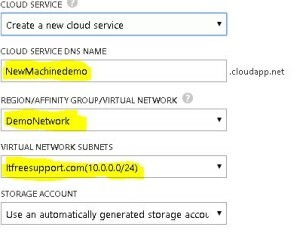 Just follow steps mentioned below. Here we have our Virtual Network created. 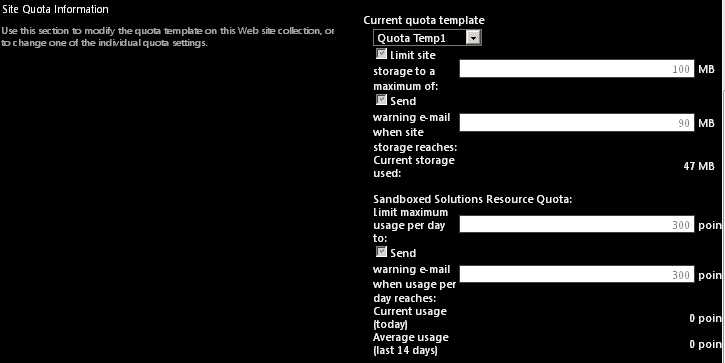 Note this Network will then be used while creating our Virtual Machine. 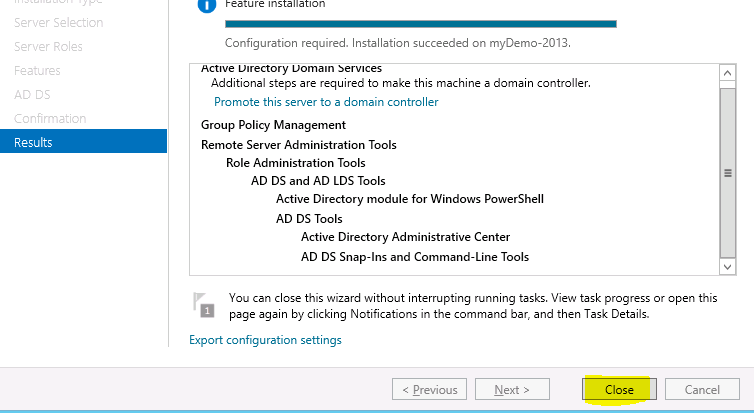 The very first machine we will create is our Domain controller. 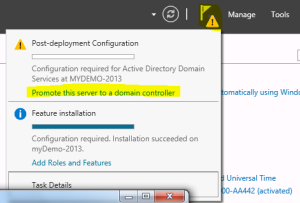 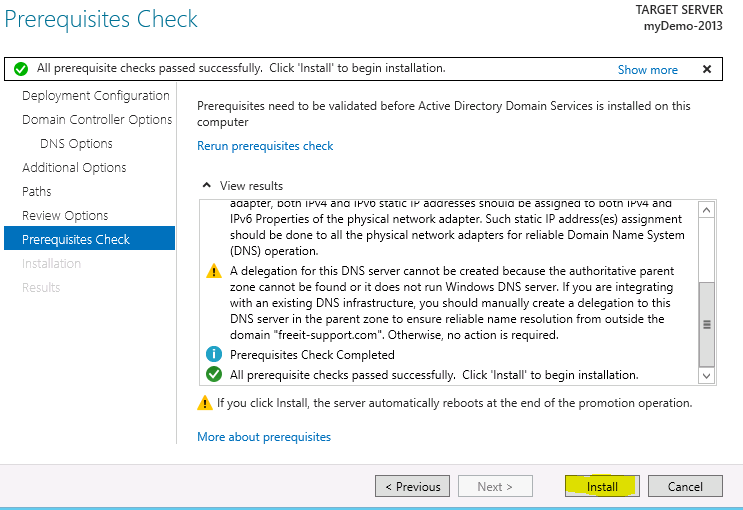 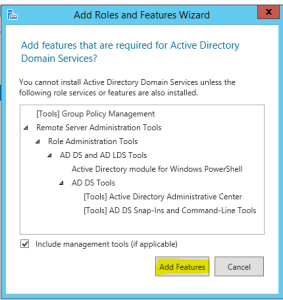 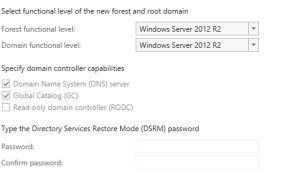 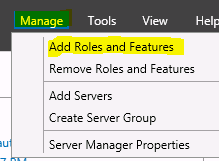 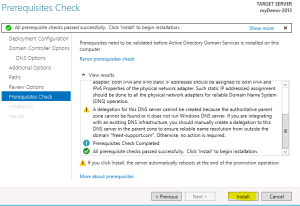 Once the domain controller is created we will update it in DNS server records used above.